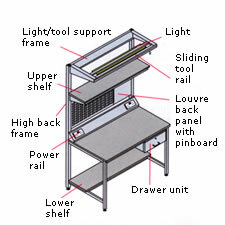 A full range of welded workbenches, with high quality mild steel frames available in two strengths: Medium Duty or Heavy Duty. 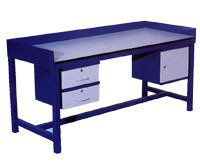 Both heavy and medium duty frames are offered with a choice of worktops. Example item shown is BMS01, with CDU02, CDU06 and MDA14.